There is an art to hair removal. I've tried shaving, creams, waxing and threading but I think I am going to stick it out with sugaring. Yes, you heard me sugaring, an ancient form of hair removal that originates in the Middle East. 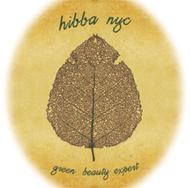 I didn't have to travel to Dubai to get it done, I went to Hibba Organic Salon in Soho to get sugared. I've been curious about sugar hair removal for quite some time, but there are but a few spas and salons that actually do it. I was expecting packs of Domini to be placed on me and then voila, no hair. Boy, was that as far from the truth. Sugaring is very similar to waxing in it's technique, applicator, pot, cloth straps- check. In addition they both are slightly painful, it's hair we're talking about; but unlike wax, sugar adheres to the hair and not the skin causing for less irritation and pain. 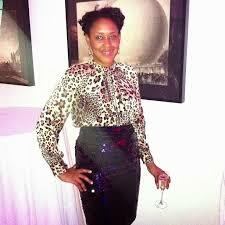 It's also organic, as owner and practitioner, Hibba makes the sugar/wax combo at home with natural ingredients including essential oils. Hibba makes the hair removal process easier than norm. She's pleasant, serene and detail oriented. To calm my skin, she applied neem oil, a topical ointment used in India, where Hibba is from, that is said to heal cuts and bruises even psoriasis. Does the possibility of sugaring scare you? Well, if you're too much of a punk, I still suggest you hit Hibba up for an eye brow threading. She's a self proclaimed browologist who discovered her talent for the arch as a young girl. Start small then work it up to the big leagues. Hibba Organic Salon is the go to spot for Beauty Month, all year long.